Marshall Tech Services Respects your privacy. Marshall Tech Services does not tolerate the transmission of spam. We monitor all traffic to and from our web servers for indications of spamming and maintain a spam abuse compliant center to register allegations of spam abuse. Customers suspected to be using Marshall Tech Services products and services for the purpose of sending spam are fully investigated. Once Marshall Tech Services determines there is a problem with spam, Marshall Tech Services will take the appropriate action to resolve the situation. Our spam abuse compliant center can be reached by email at contact@marshalltech.co. We will not allow our servers and services to be used for the purposes described above. In order to use our products and services, you must not only abide by all applicable laws and regulations, which include the Can-Spam Act of 2003 and the Telephone Consumer Protection Act, but you must also abide by Marshall Tech Services’s no spam policies. Commercial advertising and/or bulk emails or faxes may only be sent to recipients who have already “opted-in” to receive messages from the sender specifically. They must include a legitimate return address and reply-to address, the sender’s physical address, and an opt-out method in the footer of the email or fax. Upon request by Marshall Tech Services, conclusive proof of opt-in may be required for an email address or fax number. If Marshall Tech Services determines the services in question are being used in association with spam, Marshall Tech Services will re-direct, suspend, or cancel any web site hosting, domain registration, email boxes or other applicable services for a period of no less than two (2) days. The registrant or customer will be required to respond by email to Marshall Tech Services stating that they will cease to send spam and/or have spam sent on their behalf. Marshall Tech Services will require a non-refundable reactivation fee to be paid before the site, email boxes and/or services are reactivated. In the event Marshall Tech Services determines the abuse has not stopped after services have been restored the first time, Marshall Tech Services may terminate the hosting and email boxes associated with domain name in question. To Report Spam Abuse: We encourage all customers and recipients of email generated from our products and services to report suspected spam. Suspected abuse can be reported by email or through our Spam Abuse Compliant Center on the Web. In furtherance of this commitment, we have joined forces with the Anti-Phishing Working Group (APWG). APWG is an industry association dedicated to the elimination of the identity theft and fraud associated with phishing and email spoofing. APWG currently has more than six hundred (600) members consisting of law enforcement, financial institutions and technology vendors. APWG focuses on education of the consumer and development of industry and legal solutions to the growing problem of phishing and email spoofing. We are proud to join this group and hope that together, we can end the threat that phishing and email spoofing poses. Copyright © 2004-2010 All Rights Reserved. If you seek the identity or account information of a Marshall Tech Services customer in connection with a civil legal matter, you must fax, mail, or serve Wild West with a valid subpoena. Upon the receipt of a valid civil subpoena, Wild West will promptly notify the customer whose information is sought via e-mail or U.S. mail. If the circumstances do not amount to an emergency, Wild West will not immediately produce the customer information sought by the subpoena and will provide the customer an opportunity to move to quash the subpoena in court. Wild West reserves the right to charge an administration fee to the customer by charging the Payment Method the customer has on file with Wild West. Wild West will charge the person or entity submitting the civil subpoena for costs associated with subpoena compliance. Payment must be made within thirty (30) days from the date of receipt of the Wild West invoice. Checks should be made out to Wild West. Wild West will not produce the content of e-mail, as the Electronic Communications Privacy Act, 18 U.S.C. §2701 et seq., prohibits an electronic communications service provider from producing the contents of electronic communications, even pursuant to subpoena or court order, except in limited circumstances. Wild West’s e-mail servers do not retain deleted or sent e-mail. Wild West reserves the right to request a copy of the complaint and any supporting documentation that demonstrates how the Wild West e-mail address is related to the pending litigation and the underlying subpoena. Copyright © 2005-2011 All Rights Reserved. If you seek the identity or account information of a Marshall Tech Services customer in connection with a criminal matter, and are a member of the law enforcement community, you must fax, mail, or serve Wild West with a valid subpoena. Wild West reserves the right to request a copy of the complaint and any supporting documentation that demonstrates how the Wild West e-mail address is related to the pending investigation and the underlying subpoena.  Marshall Tech (“Marshall Tech”) supports the protection of intellectual property. Whether you are the holder of a trademark, service mark, or copyright, Marshall Tech is committed to helping you protect your legal rights. Therefore, we have established the following policies for considering trademark and/or copyright infringement claims. Please refer to the Uniform Domain Name Dispute Resolution Policy (the “UDRP”) if you have a concern or dispute about a registered domain name. Any dispute regarding the registration of domain names will need to be sent either to the registrant, to an ICANN-approved arbitration provider, or the court system. This Trademark/Copyright Infringement policy specifically excludes domain name disputes and has been established to allow reporting of possible violations involving other Marshall Tech products and services. 1. To notify Marshall Tech that there has been a copyright or trademark violation, please follow the specific instructions in (A) for filing a trademark claim, or (B) filing a copyright complaint. 2. If you are responding to a complaint of infringement, you will need to follow our Counter Notification policy in (C). 1. If you (the “Complaining Party”) would like to submit a trademark claim for violation of a mark on which you hold a valid, registered trademark or service mark (registered with the United States Patent and Trademark Office on the Principal Register or, for foreign marks, registered with the appropriate intellectual property organization of your country; state registrations and registrations on the Supplemental Register are not considered valid for these purposes), Marshall Tech requests that the Complaining Party substantiate such claim by either: (i) filling out the form available here, or (ii) providing the following information via email to contact@marshalltech.co. The words “Trademark Claim” should appear in the subject line of the email. PLEASE NOTE: Filling out the online form is the quickest way to get your claim addressed. Sufficient evidence that the owner of the website that is claimed to be infringing is a Marshall Tech customer. 2. Upon receipt of the appropriate information identified in Section 1 above, for trademark claims, Marshall Tech will initiate an investigation and forward the Complaining Party’s written notification to the alleged infringer. While Marshall Tech is investigating the claim, Marshall Tech, at its sole discretion and without any legal obligation to do so, may notify the alleged infringer it will lock down the domain name(s), redirect the DNS,and/or if it is solely stored on a Marshall Tech server, temporarily remove or deny access to the allegedly infringing material. 3. If Marshall Tech concludes that the Complaining Party has raised a legitimate trademark claim, it may, at its sole discretion and without any legal obligation to do so, continue to suspend the alleged infringer’s Marshall Tech account and/or if it is solely stored on a Marshall Tech server, deny access to the allegedly infringing material. If Marshall Tech concludes that the Complaining Party has not raised a legitimate claim, Marshall Tech will restore access to the allegedly infringing material. 4. The Complaining Party should understand that Marshall Tech, an ICANN accredited registrar, and its customers are bound by the UDRP. Nothing in this Policy should be construed to supersede the UDRP, nor the obligation of Marshall Tech and its customers to abide by it in the context of domain name disputes. 1. If the Complaining Party would like to submit a copyright claim for material on which you hold a bona fide copyright, Marshall Tech requests that the Complaining Party substantiate such claim by either: (i) filling out the form available here, or (ii) providing the following information via email to contact@marshalltech.co. The words “Copyright Claim” should appear in the subject line of the email. A copyright claim can also be submitted by mail to: Copyright Agent, Marshall Tech, 14455 N. Hayden Road, Suite 219, Scottsdale, AZ 85260. PLEASE NOTE: Filling out the online form is the quickest way to get your claim addressed. Identification of the material that is claimed to be infringing or to be the subject of infringing activity and that is to be removed or access to which is to be disabled, and information reasonably sufficient to permit Marshall Tech to locate the material. Information reasonably sufficient to permit Marshall Tech to contact the Complaining Party, such as an address, telephone number, and, if available, an electronic mail address at which the Complaining Party may be contacted. 2. For Copyright Claims, upon receipt of appropriate notification from the Complaining Party, pursuant to Section 1 of Copyright Claims above, Marshall Tech will initiate an investigation and forward the Complaining Party’s written notification to the alleged infringer. While Marshall Tech is investigating the claim, Marshall Tech, at its sole discretion and without any legal obligation to do so, may notify the alleged infringer it will lock down the domain name(s), redirect the DNS, and/or if it is solely stored on a Marshall Tech server, temporarily remove or deny access to the allegedly infringing material. 3. If Marshall Tech concludes that the Complaining Party has raised a legitimate copyright claim, it will continue to suspend the alleged infringer’s Marshall Tech account and/or if it is solely stored on a Marshall Tech server, deny access to the allegedly infringing material. If Marshall Tech concludes that the Complaining Party has not raised a legitimate claim, Marshall Tech will restore access to the allegedly infringing material. The alleged infringer’s name, address, and telephone number, and a statement that the Infringer consents to the jurisdiction of the Federal District Court for the judicial district of Arizona, or if the alleged infringer’s address is outside of the United States, for any judicial district in which Marshall Tech may be found, and that the alleged infringer will accept service of process from the Complaining Party or an agent of such Party. 2. Upon receipt of a Counter Notification as described in Section 1 above, Marshall Tech shall promptly provide the Complaining Party with a copy of the Counter Notification, and inform such Party that it will replace the removed material or cease disabling access to it in ten (10) business days. Marshall Tech will replace the removed material and cease disabling access to it in not less than ten (10), nor more than fourteen (14), business days following receipt of the Counter Notification, unless Marshall Tech first receives notice from the Complaining Party that such Complaining Party has filed an action seeking a court order to restrain the alleged infringer from engaging in infringing activity relating to the material on Marshall Tech’s system or network. It is Marshall Tech’s policy to provide for the termination, in appropriate circumstances, of Marshall Tech customers and account holders who repeatedly violate this policy or are repeat infringers of copyrighted works, trademarks or any other intellectual property. This Domain Name Registration Agreement (this “Agreement“) is entered into by and between Marshall Tech, a CA individual (“Marshall Tech“) and you, and is made effective as of the date of electronic acceptance. This Agreement sets forth the terms and conditions of your use of Marshall Tech’s Domain Name Registration services (the “Domain Name Registration Services” or the “Services“). Your electronic acceptance of this Agreement signifies that you have read, understand, acknowledge and agree to be bound by this Agreement, which incorporates by reference each of (i) Marshall Tech’s Universal Terms of Service Agreement (“UTOS“), (ii) all guidelines, policies, practices, procedures, registration requirements or operational standards of the top-level domain (“TLD“) in which you register any domain (“Registry Policies”), and (Iii) any plan limits, product disclaimers or other restrictions presented to you on the Domain Name Registration Services landing page of the Marshall Tech website (this “Site”). The terms “we”, “us” or “our” shall refer to Marshall Tech. The terms “you”, “your”, “User” or “customer” shall refer to any individual or entity who accepts this Agreement. Unless otherwise specified, nothing in this Agreement shall be deemed to confer any third-party rights or benefits. You acknowledge and agree that (i) Marshall Tech, in its sole and absolute discretion, may change or modify this Agreement, and any policies or agreements which are incorporated herein, at any time, and such changes or modifications shall be effective immediately upon posting to this Site, and (ii) your use of this Site or the Services found at this Site after such changes or modifications have been made shall constitute your acceptance of this Agreement as last revised. If you do not agree to be bound by this Agreement as last revised, do not use (or continue to use) this Site or the Services found at this Site. In addition, Marshall Tech may occasionally notify you of changes or modifications to this Agreement by email. It is therefore very important that you keep your shopper account (“Shopper Account”) information, including your email address, current. Marshall Tech assumes no liability or responsibility for your failure to receive an email notification if such failure results from an inaccurate or out-of-date email address. Marshall Tech is not an Internet Corporation for Assigned Names and Numbers (“ICANN“) accredited registrar; it is an authorized reseller of domain name registration services. Accordingly, you acknowledge and agree that Marshall Tech may modify this Agreement in order to comply with any terms and conditions set forth by (i) the sponsoring registrar, (ii) ICANN, and/or (iii) the registry applicable to the TLD or country code top level domain (“ccTLD“) in question. As used herein, the terms “registry”, “Registry”, “registry operator” or “Registry Operator” shall refer to the registry applicable to the TLD or ccTLD in question. Once the transfer is complete, you will be able to RENEW, MODIFY DNS, and perform other functions by logging into your client area. Complete all required information requested through the online transfer application, i.e. contact information, nameserver information, etc. Proceed through to the shopping cart and pay for your transfer(s). Update your Administrative Contact’s email address at your current registrar. We will be contacting the Administrative Contact’s email address for transfer approval. The transfer will only be initiated upon approval from your Administrative Contact. Once initiated, a transfer will be accepted or denied by the losing registrar within five (5) days. Once a domain name expires, it goes through many stages before being released to the open market. We send five renewal emails to the domain name’s administrative contact prior to the expiration date. Below is a timeline based on .com domain names. Day 5 We make the second billing attempt. The domain name can still be renewed by the registrant at no extra cost. Day 26 We add the domain name to an expired domain name auction. Day 43 We assign the domain name to the winner of the expired domain name auction, backorder, or closeout. If there are no bidders, we return the domain name to the registry. A registrant may renew an expired domain name at no extra cost up until day 12. Starting on day 13, an $80 redemption fee will apply. As long as the domain was not won at expired auction or placed in backorder or closeout, the original registrant can attempt to redeem the domain up until day 60 (with the additional $80 redemption fee). If you set your domain names to automatically renew, we attempt to renew the registrations for you the day after expiration. If we are unable to bill you, we park your expired domain names after 5 days and notify you via email again. If you set your domain names to manually renew and you let your domain names expire, we notify you via email again the day after expiration. We park your expired domain names after 5 days. For expired .com, .net, .org, .info, .biz, .us, .ws, .name, .cc, .mobi, .me, or .tv domain name registrations, we hold your domain name for approximately 42 days before canceling it. Domain name renewal during this period is subject to applicable renewal and redemption fees. On the day after your domain name registration’s expiration date, we attempt to bill you for the domain name renewal. If we cannot renew the domain name (for example, your card on file expired), we notify you of the domain name registration’s expiration and park your domain name. You can manually renew your domain name. On the 5th and 12th days after expiration, we email you additional notifications. You can manually renew your domain name. On the 42nd day after expiration, we cancel your domain name. We delete all services associated with the domain name. On the day after your domain name registration’s expiration date, we notify you of the domain name registration’s expiration and park your domain name. You can manually renew your domain name.